Her work may thus be seen as an ongoing process of gathering materials from the natural world which she seeks out in di erent locations and seasons depending on the nature of the plants and of ordering and presenting them in a coherent manner in the privacy of her studio or in the public space of a gallery or museum. Each of the ongoing series of works that have preoccupied her for the last 15 years –Tracing the Origin series, Manuscript of Nature series, Read by Touch, Diary and others – has a di erent focus although the basic procedure remains the same. In the current exhibition works from Read by Touch and Manuscript of Nature are notably di erent in impact. In the former thorns from black locust or honey locust trees and rose bushes are presented in horizontal lines representing units of time, the invitation to read by touch emphasizing the possibility of a painful encounter with the wickedly sharp thorns. 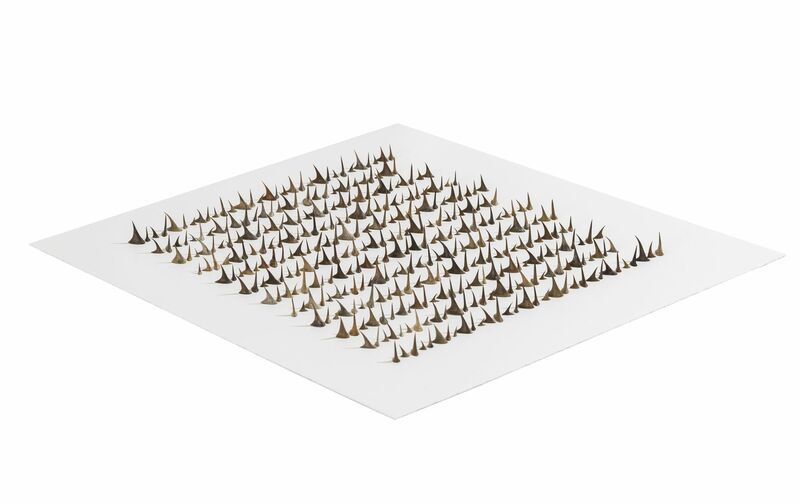 There is a tension between the irregular forms of the thorns, each one unique, and the rigid way in which they are arranged. In the latter, dried grape tendrils are aligned vertically, resembling Chinese calligraphy strokes written in grass style. 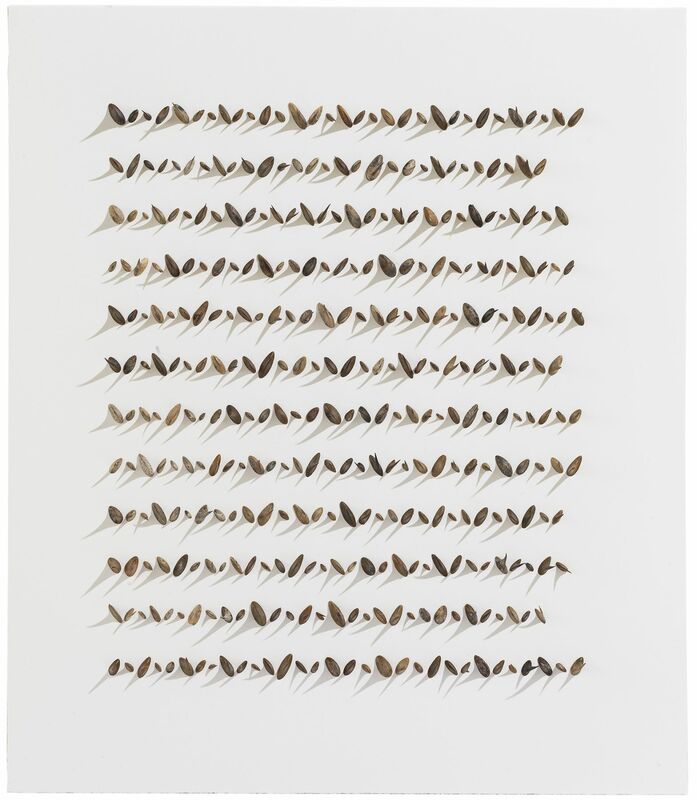 Cui Fei has made many variations on this theme, presenting the material as framed works but also as installations in Manuscript of Nature V. In the latter the tendrils are pinned directly to the wall, the size of the work depending on the proportions of the space in which they are exhibited. In Cui Fei’s work there is always a tension between the found materials from the natural world that she uses as her medium and the methodical way in which this is presented whether in installations or independent works. Although she uses materials from the natural world rather than more traditional media, she explores themes that range from the personal and private to the universal.